PARIS (AP) — A man suspected of supplying the gun used in the Christmas market shooting attack that killed five people in Strasbourg has been handed preliminary terror charges, according to a French judicial official close to the investigation. The official, who could not be named with the case ongoing, said the individual appeared Monday before a judge and was charged with criminal association with terrorists, as well as possessing and supplying arms in connection with a terrorist enterprise. The man is suspected of furnishing the weapon that alleged gunman Cherif Chekatt used in the Dec. 11 attack, the judicial official said. He was remanded into custody. Chekatt, 29, died in a shootout with police in Strasbourg on Thursday. Two other people were arrested and detained Monday as part of the terror investigation the Paris prosecutor’s office is conducting into the attack. They also were suspected of “playing a role in supplying the firearm,” said the official. Their arrests bring the number of suspects in custody since the attack to three; Chekatt’s parents and two of his brothers were questioned by police last week and released. 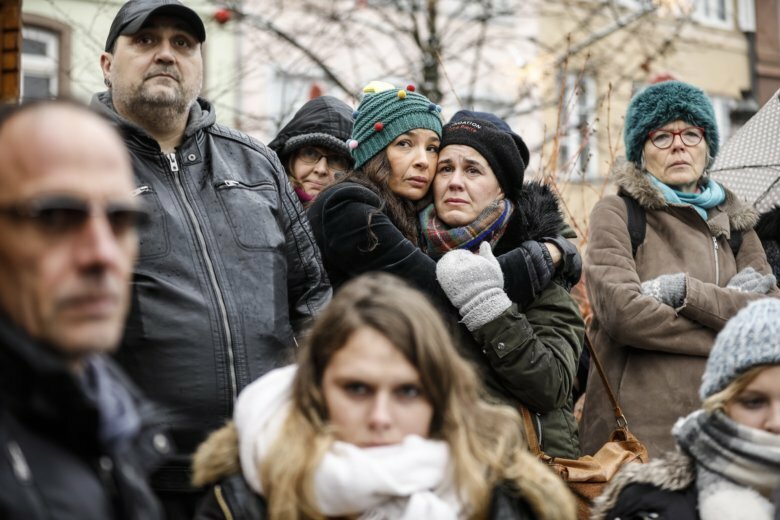 The death toll from the attack increased to five Sunday night after a Polish man died of his wounds in a Strasbourg hospital. Barto Orent-Niedzielski, 36, lived in the city, where he worked at the European Parliament and as a journalist. The other casualties include a tourist from Thailand and an Italian journalist. According to reports, Orent-Niedzielski fought the shooter and stopped him from entering a crowded club, possibly preventing more deaths. Samuel Petrequin in Paris and Monika Scislowska in Warsaw contributed to this report.